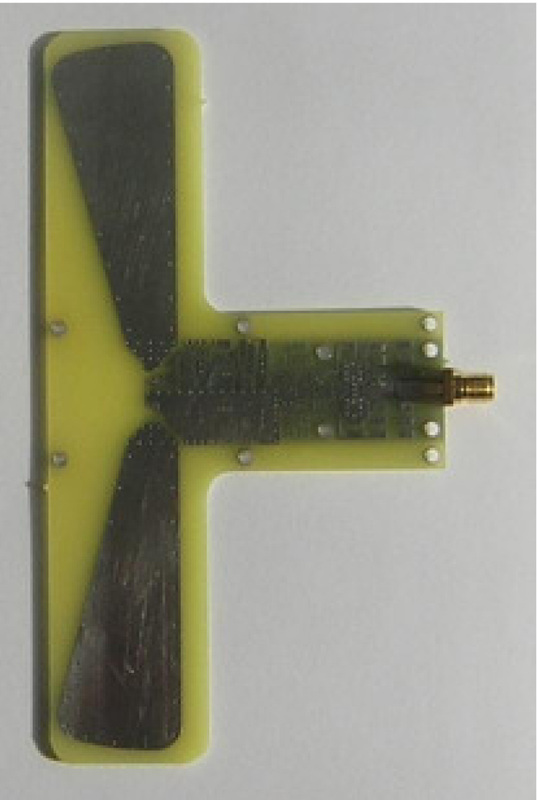 Active receiving antenna for wideband reception of radio signals in VHF/UHF frequency range. The antenna based on a sub-resonance field probe element and balanced low-noise, highdynamic range pre-amplifier. The pre-amplifier is followed by a balun transformer and a driver amplifier with bias-tee for remote powering trough the RF cable. Mechanical construction allows mounting it on a mast or tripod using standard-size components.